Above: An Erickson Air-Crane reloads with retardant while fighting the Beaver Fire in northern California, August 12, 2014. Photo by Bill Gabbert. Erickson Incorporated, known to wildland firefighters for their Air-Crane helicopters that can carry up to 2,500 gallons of water, has emerged from bankruptcy after declaring for Chapter 11 on November 8, 2016. Soon after the company purchased Evergreen Helicopters and Air Amazonia and their 78 aircraft in 2012 and 2013 the bottom fell out of the oil exploration industry and they lost military and firefighting contracts. Suddenly finding themselves no longer a small business Erickson lost their eligibility to compete for U.S. Forest Service firefighting contracts. Mr. Roberts said the company will move forward as a privately-held small business, effective immediately. Susan Bladholm, a spokesperson for Erickson, told us that they currently have 20 Air-Cranes, but could not comment on the potential to bid on or obtain firefighting contracts since the company is under new ownership and some issues still need to be worked out. Between March, 2012 and April, 2016 the company had eight Type 1 Aircrane helicopters on contract with the U.S. Forest Service. When the next round of contracts was announced in February, 2016 conspicuous by its absence was Erickson, receiving none. 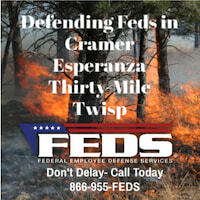 It is likely that when they purchased Evergreen Helicopters, Inc. in March, 2013 (and their 64 aircraft) and the Brazilian company Air Amazonia (and their 14 helicopters in November, 2012), they no longer qualified as a “small business” and lost their eligibility to compete for USFS firefighting contracts. These large helicopters can carry up to 2,500 gallons of water. Erickson bought the manufacturing license and type certificate from Sikorsky in 1992 for the military version, the CH-54 Tarhe. In addition to dropping thousands of gallons of water, it can be fitted with an optional front-mounted water cannon that can shoot water horizontally at 300 gallons per minute. …Under Bankruptcy Court supervision, the Company expects to file a consensual plan of reorganization with the support of its major creditor constituencies which the Company anticipates will significantly reduce its total indebtedness. Additionally, our first lien lenders and second lien noteholders have entered into a credit support agreement which is expected to result in approximately $60 million in new financing to further fund ongoing operations over the course of the restructuring. 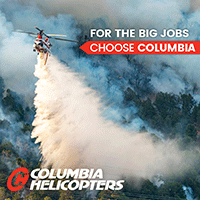 Last year Erickson had eight Type 1 firefighting helicopters, Aircranes like the one above, on exclusive use contracts with the U.S. Forest Service. There are none on the new contract that was issued February 26. While it may be only partially related to losing those eight contracts, Erickson Inc. is struggling financially. Their stock, (EAC) that reached a 5-year high of $28.10 on May 13, 2013, has dropped like a stone since early in 2014 and Friday closed at 99 cents. In 2012 and 2013 the company went on a buying spree, and purchased two companies that had a total of 78 aircraft. 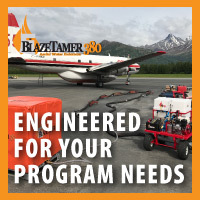 When Erickson acquired Evergreen Helicopters, Inc. (and their 64 aircraft) and the Brazilian company Air Amazonia (and their 14 helicopters), they no longer qualified as a “small business” and lost their eligibility to compete for the federal firefighting contract. Evergreen Helicopters had 400 employees. Last year Erickson laid off 150 workers. …Erickson is not a big player in oil and gas. But it has its own problems. 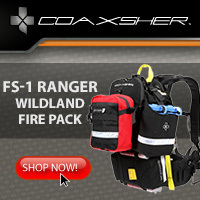 It recently lost a crucial wildfire fighting contract with the U.S. Forest Service. It also borrowed heavily three years ago to buy the helicopter business from Evergreen Aviation in McMinnville, only to see the U.S. defense business that was Evergreen’s forte go into a tailspin. The toll on Erickson’s financial performance has been dramatic. Erickson had six aircranes working in Australia during their 2015/2016 summer fire season. There are still nine Sikorsky helicopters similar to the Aircrane that are on contract for the next one to four years in the United States. Helicopter Transport Services has five and Siller has four. The models are CH-54A, CH-54B, SK-64A and SK-64E. Erickson made it more difficult to obtain contracts for their firefighting helicopters from the U.S. federal government when they bought two companies, expanding beyond the criteria for a “small business”. But they are still eligible for a contract in Alaska. On Tuesday Erickson announced two exclusive-use contracts with the State of Alaska’s Department of Natural Resources for wildfire suppression. 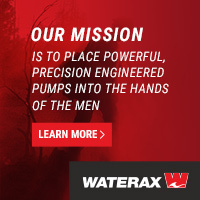 The company will provide two medium-lift helicopters; one based in Palmer and another in Fairbanks. The contracts are for one year, with four additional option years. Stymied by contracting regulations in the United States, Erickson’s Aircrane helicopters are still loved down under. Above: An Aircrane reloads with retardant while fighting the Beaver Fire northwest of Yreka, California, August 12, 2014. Photo by Bill Gabbert. Erickson’s Australian partner Kestrel Aviation signed up for a third S64E Aircrane helicopter to support firefighting efforts in Victoria state. Erickson has six Aircranes currently working in Australia. The third Aircrane, previously stationed in Sydney, New South Wales to fight fires, has been reassigned to Mangalore, Victoria where it remains available as required for the remainder of the fire season. Erickson has also been contracted in support of the initial phases of NASA’s 3rd Generation Mid-Air Retrieval Project focused on mid-air retrieval of NASA spacecraft re-entering the atmosphere. Erickson is contracted to study the concept of operations for proposed NASA missions that employ mid-air retrieval using a single S-64F Aircrane helicopter. Unlike the last time a Type 1 helicopter contract was awarded, the information was released without a Freedom of Information Act request. Above: A Siller Helicopters CH-54A (H-781); a Type 1 helicopter. Photo by Siller. Contracts have been awarded to 13 companies for a total of 34 Type 1 firefighting helicopters. The exclusive use U.S. Forest Service contracts issued on February 26 are effective through April 30, 2017, with the possibility of three one-year renewal option periods. A company conspicuous by its absence is Erickson. The company had eight Air Cranes on the last Type 1 contract that was issued in 2013. We have reached out to Erickson to determine why they are not on the list, but did not immediately receive a response. There is a theory on a helicopter forum that when Erickson purchased Evergreen Helicopters, Inc. (and their 64 aircraft) and the Brazilian company Air Amazonia (and their 14 helicopters), they no longer qualified as a “small business” and lost their eligibility to compete for the contract. Even though Erickson is not involved this year there are still nine Sikorsky helicopters similar to the Air Crane that will be flying over fires for the next one to four years. Helicopter Transport Services has five and Siller has four. The models are CH-54A, CH-54B, SK-64A and SK-64E. It is absurd that this information about how taxpayers’ money is being spent is not easily available to citizens. The total four-year estimated cost of this latest contract is $594 million. The citizens have a right to know this information. We are pleased that the FBO is being more transparent this year. An Aircrane receives some maintenance in Oregon. Erickson photo.